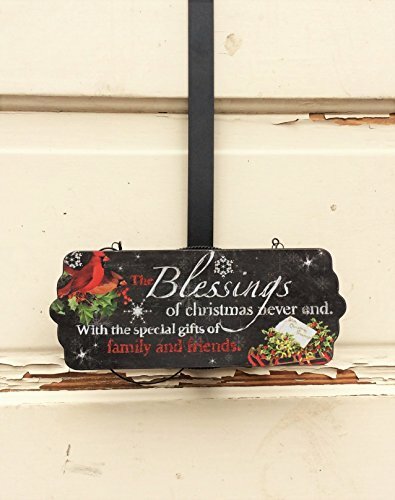 Item: AG Designs Christmas Decor - Decorative Wreath Door Hanger - Blessings Details: Metal construction with a mdf wood sign that reads "The Blessings of Christmas Never End. With the Special Gifts of Family and Friends". Other styles may be available. See picture for details. Size: Sign: 9 1/2" x 4" Approx. Hanger: 15" Approx. If you have any questions about this product by Agape Gifts Designs, contact us by completing and submitting the form below. If you are looking for a specif part number, please include it with your message.